Carpal tunnel syndrome is the pressure created on the median nerve as it passes into the hand. The median nerve is situated on the palm side of your hand (also called the carpal tunnel). The median nerve causes a sensation or a feeling on your thumb, index finger, long finger, and part of the ring finger. It provides the impulse to the muscle carrying it to the thumb. Carpal tunnel syndrome can occur in one hand or both of your hands. You can get rid of this syndrome with the help of reflexology. In fact the benefits of Reflexology treatment can give you considerable relief from these symptoms. Inflammation inside your wrist causes the compression in carpal tunnel syndrome. It is one of the reasons that causes numbness, weakness, and tingling on the side of your hand right next to the thumb. The pain is often acute and you need treatment for carpal tunnel. Repeating any particular movement like typing or playing the piano. Symptoms of carpal tunnel syndrome most often occur in the parts of the hand provided by the median nerve: the thumb, index finger, middle finger, and half of the ring finger. If your little finger remains unaffected, this may be proof that it is indeed carpal tunnel syndrome because the little finger is more often than not controlled by a different nerve (the ulnar nerve) but the thumb and the fingers are not controlled by this nerve. The onset of the symptoms is usually slow, and there is frequent burning, tingling, or itching numbness in the palm of the hand and the fingers (especially the thumb and the index and middle fingers). Carpal tunnel syndrome is often result of a combination of factors that increase pressure on the median nerve and tendons in the carpal tunnel, but the nerve itself does not have a problem. Tingling, numbness, weakness, or pain is felt in the fingers. Feeling of numbness or pain especially at night. The pain may be intense enough to keep you awake at night. You may take seek relief by shaking your hand. You experience a searing pain when you use your hand or wrist more. Trouble holding an object tight. A feeling of weakness in your thumb. Women are three times more likely than men to develop carpal tunnel syndrome, as the carpal tunnel itself is smaller in women than in men. A Reflexologist who is trained in the Carpal Tunnel Routine will be able to unlock the joints in the wrist to help the median nerve space to move. They will work on the forearm extensors and flexors to ensure that the muscles are not knotted and straight; and stretch out the tendons so that everything is moving properly. They will then coerce each finger joint through a range of motions to make sure the nerves around each joint are not being pinched. Reflexology helps stall and reverse the pain and tension on the arm and hand caused by Carpal Tunnel Syndrome. It also helps prevent Carpal Tunnel Syndrome from setting in. These distressing painful conditions, sometimes immobilizing hand and wrist movement often result from compression of nerves along the forearm. Work on these points for the forearm to alleviate the pain. These reflex points are situated on the outer edge of the hands, in the central position between the base of the pinkie and wrist. You or your reflexologist can roll your thumb over this complete hand area on whichever hand is afflicted and wherever there is pain. The first one is on the inner wrist crease, there is a depression right in the middle. That’s the point which you need to knead. And on the other side, again on the outer wrist crease, there is an indentation in the middle. Hold these points for up to one minute as you breathe deeply. The second set of points is three finger widths below those points. And again on the other side three finger widths below those points. Press the points for about one minute as you continue to breathe deeply. The last one is below the thumb on the outer wrist crease. More specifically, it’s between the two tendons when you tend to open your thumb. Press this point for up to one minute as you focus on your breathing. Reflexology for carpal tunnel syndrome can be very effective if done properly. You need to be mindful of a few things before you embark upon this journey to a pain-free existence. When you press, keep in mind that you do not press hard enough cause pain, which defeats the purpose of acupressure. The idea is not to inflict more pain as you are already experiencing pain. You press the acupressure points to alleviate pain by stimulating these points. P7: Acupressure point P7 or PEricardium7 is also known as the Great Mound, and this point really helps in treating wrist and thumb pain. This point can be found in the middle of the inner side of the wrist crease. 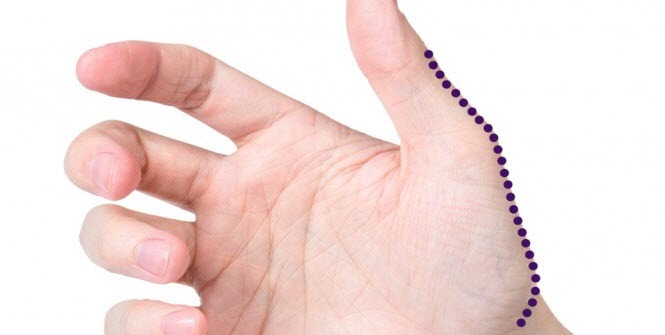 This point aids in relieving all types of wrist problems and especially carpal tunnel syndrome. TW4: TW4 or Triple Warmer4 is a local acupressure point on the wrist that is especially good for treatment for carpal tunnel. This point is located on the outer side of the arm, in the hollow in the center of the wrist at the crease. Stimulating this point also helps alleviating pain to a great extent. P6: P6 or Pericardium6 is yet another local acupressure point for wrist pain relief that is found in the central part of the inner side of the forearm, two finger widths above the wrist crease. Stimulating this point on both arms using the fingertips can help in getting immense relief from carpal tunnel syndrome, wrist pain, and nausea. This point also gives relief from motion sickness, headaches and so on. In a nutshell, here is the technique you need to follow to get relief from carpal tunnel syndrome. Extend your forearm, wrist, and palm muscles to activate blood flow and reduce muscle contraction pain and tightness. Press specific acupoints to remove energetic congestions and coerce the free flow of qi or energy. Reduce inflammation, and consecutively the pain and stagnation in the carpal tunnel, hand, wrist, and forearm. Carpal tunnel syndrome treatment is quite a distressing condition where you feel shooting pains in your hands and wrists and it makes you feel rather helpless as you are unable to do anything about it except for popping pain-killers. Rest easy, now that you know about these points, so you can help yourself in getting rid of the pain and getting lasting relief. Excellent article. I used the pressure methods you described for wrist pain and experienced relief. Thank you.